AirPods are finally out, Apple is pulling the battery-remaining estimate from macOS 10.12.2, the new emoji are uncannily beautiful, and the I'm a Mac ads are 10 years old. 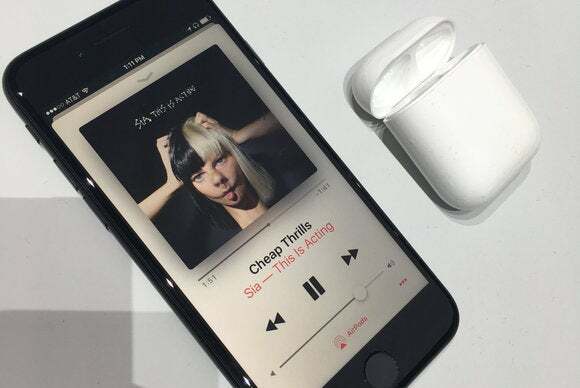 It’s a holiday miracle—AirPods are finally available to order, although shipping estimates have already slid to about six weeks, bah humbug. Macworld’s review should post next Monday. Elsewhere, Susie’s incredibly excited about the single sign-on feature for Apple TV, since it’s given her access to the FX NOW app and, inside it, _every episode of The Simpsons, ever_. The TV app itself, new to tvOS this week, is probably going to be a lot more useful for cable subscribers than cord-cutters, and we hope it doesn’t become totally pointless for non-subscribers once Apple launches its own over-the-top service. Plus, your Mac laptop will no longer provide estimates as to how long its battery might last, since it turns out those are pretty inaccurate, at least according to Apple. If you’re going to miss it, we hear iStat Menus is a way to keep it around.